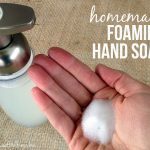 Here’s a simple homemade mint sugar scrub that you can make in five minutes or less with ingredients from your grocery store. 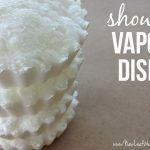 It’s exfoliating, moisturizing, and so easy to make! 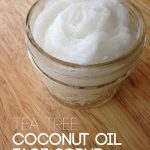 I got hooked on homemade coconut oil sugar scrubs last year when I was looking for a simple exfoliator. I’ve been using them on my dry and sensitive skin everyday since then, and I simply can’t get enough. I even made organic lemon sugar scrubs for my sister-in-law’s bridal shower this summer. 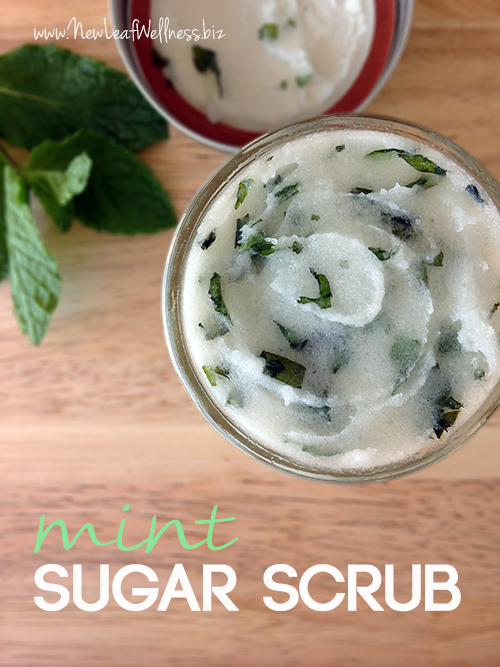 What I love about this mint sugar scrub is that it takes advantage of all of the fresh mint available this time of year. If you don’t have any mint growing in an herb garden, you can pick some up at your local grocery store. Add some extra virgin coconut oil and sugar to your cart and you’re ready to assemble your scrub! I’ll warn you that the smell of this scrub is intoxicating. 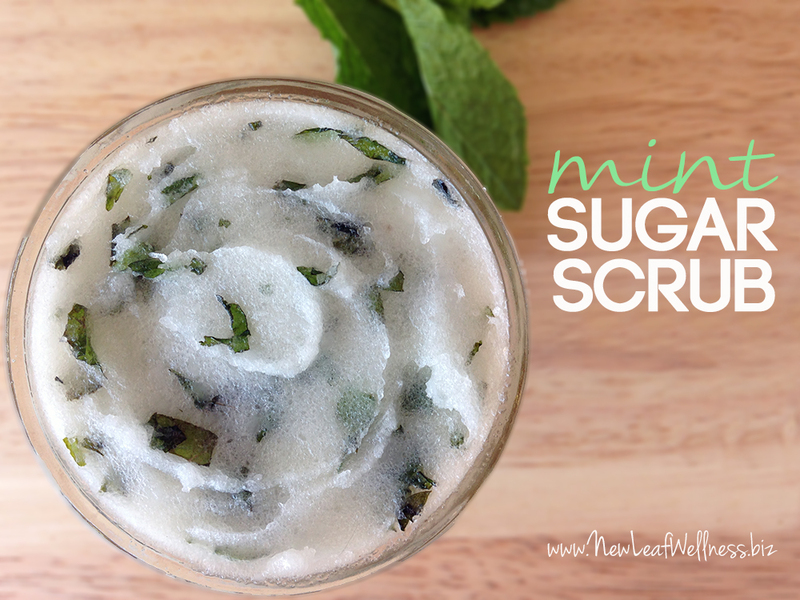 This mint sugar scrub smells so good that you’re going to want to eat it. The good news is that it’s totally edible, so you’re welcome to give it a try. On your hands – Massage into your hands and fingernails for 30 seconds. Rinse and pat dry. P.S. If you’re looking for more simple beauty recipes, my Easy Beauty Recipes eBook is part of a huge eBook sale right now. For $29.97, you get over $1,000 in eBooks, eCourses, and freebies that will jumpstart your healthy lifestyle. Click here for more info: The Ultimate Healthy Living Bundle 2014. I’ve been dabbling in expensive brands like Lush for body/lip scrubs, and as a college student, I can’t tell you how thankful I’am to have found your site! 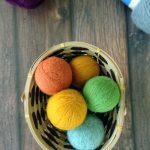 Affordable and easy DIY’s are right up my alley. I can’t wait to try out this DIY. Yay! I love Lush products, but I’ve found some of them to be too harsh and drying for my skin. Coconut oil is my favorite base, by far. Thanks for taking the time to comment, Mary! I’m about to do this with a group of ladies and I don’t know how to store it… Can we keep it at room temperature? For how long? Or does it need to go to the fridge? This is urgent!!! Thank you so much! Yes, room temperature is fine. I store mine in a cool, dry place. Coconut oil turns from a solid to a liquid at 76 degrees F, so you want to store it somewhere cooler than that. I have an abundance of mint right now. I am thinking ahead to the holidays. How long does this keep? If I dry the leaves (maybe freeze them) in order to make closer to getting, would they work in this recipe? Thanks! I think your best bet would be to make the scrubs now with fresh mint. I’m not 100% sure how long they’ll last though. The ones I make with essential oils last forever (1 year+). will it work with any other kinds of oil?